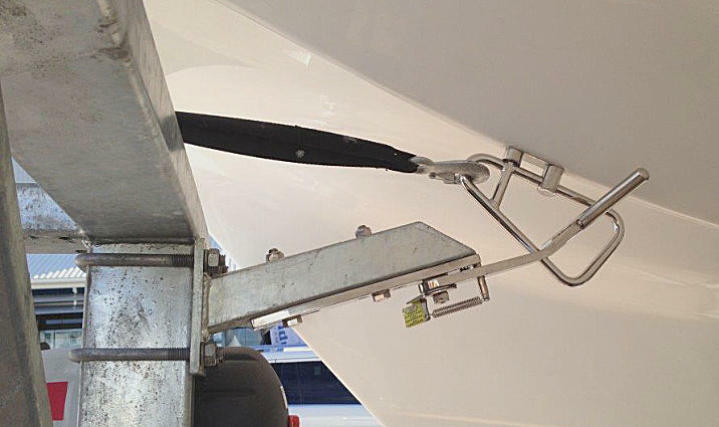 The Boat Latch has been used for many years on a lot of different types of catamarans. Some adaption is required, as there are no standard trailers or cats. The example here shows you how Voyager has achieved a good outcome. 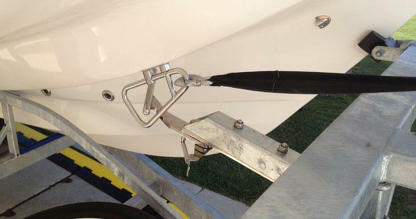 See Install pages for U-Bolt and/or Towing eye boats under Installation for details on other aspects of installation.